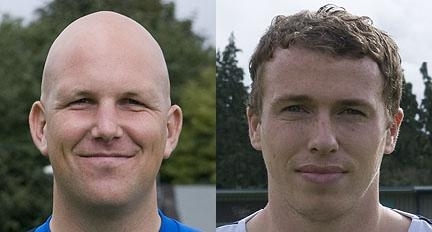 Eastleigh first team coach and assistant manager Matt Gray has resigned. “The Club can confirm that Matt Gray has resigned his position as 1st Team Coach. We have been unable to agree a suitable and appropriate agreement, which would satisfy the requirements of both parties – thus Matt has decided to tender his resignation, which has been accepted by the Club. We would like to record our appreciation for all his efforts whilst at Eastleigh Football Club – and wish him well for the future. Moving on – we have already had informal discussions with several possible replacements. They include coaches with impressive histories in the game. Tony Taggart has signed for Sutton United alongside Anthony Riviere joining former Eastleigh manager, Paul Doswell who now manages the Surrey team. “Tony Taggart rejected a very good offer from EFC – and decided to join Sutton United, which is much closer to his home – and one would assume is more lucrative!! We are (of course) disappointed that Taggs has left, but we move on – and expect to soon complete the re-signing of several of our players from last season. The left winger made 128 appearances and has scored 28 important goals in his career at Eastleigh.